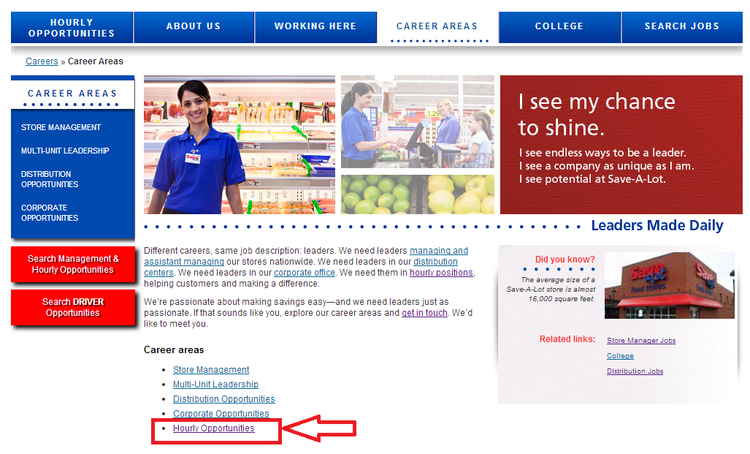 To apply for a suitable position at Save-A-Lot, you shall at first go to save-a-lot.com/careers where you could have a view of various information, the company’s history, culture, benefits offered, etc. included. 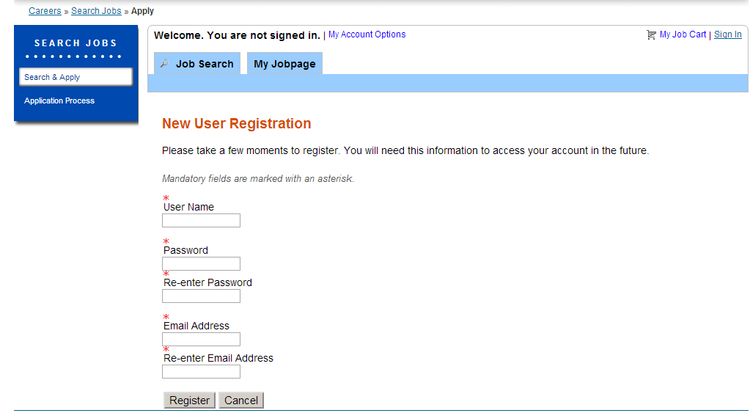 Then you shall click “CAREER AREAS” to see all available career areas. 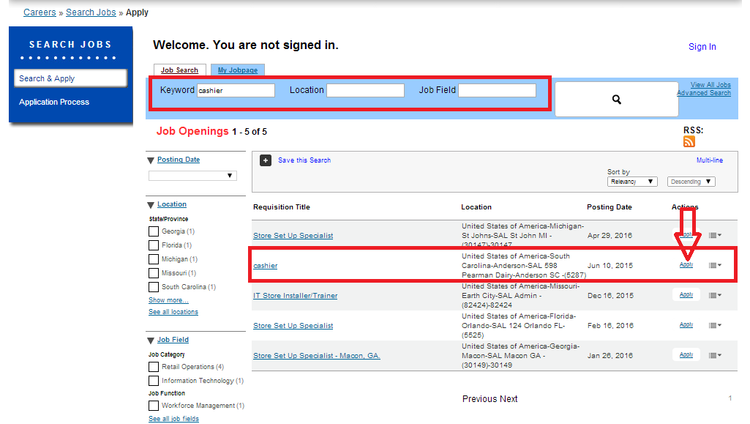 Besides, you could also click “SEARCH JOBS” directly if you know precisely what kind of career area you would like to work at. The article will take the previous method for example. 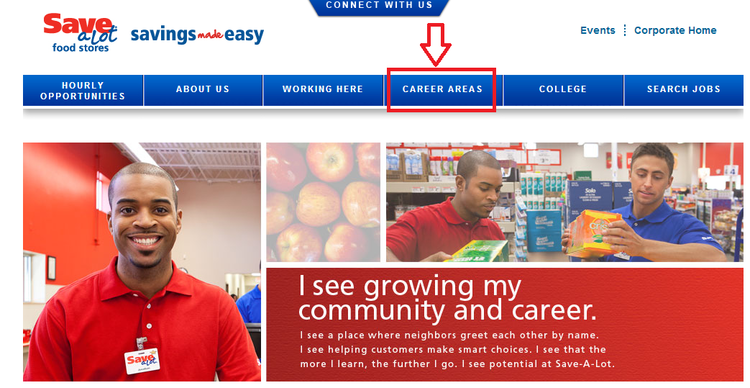 After you click “CAREER AREAS”, you will enter a new page where all accessible career areas are listed, some featured areas included. You may choose one area you prefer according to your own qualifications and experience. Take “Hourly Opportunities” for example. You then should hit “please click here to apply” to start your online application after you’ve chosen a proper career area. Note that you shall be over 18 years of age. In this step, you may enter certain information like keywords, location and job field to filter all useless positions and find your ideal ones faster. 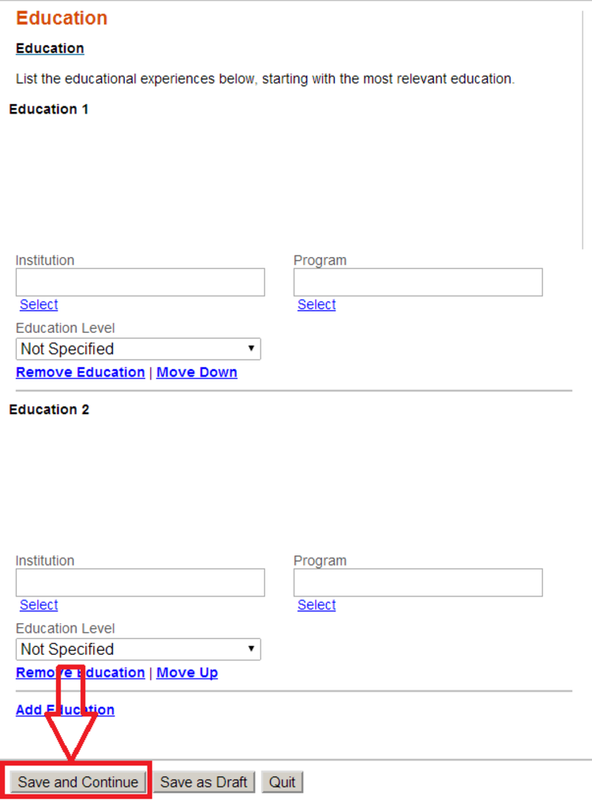 Then you should choose one position you may be qualified for and click “Apply” to continue. 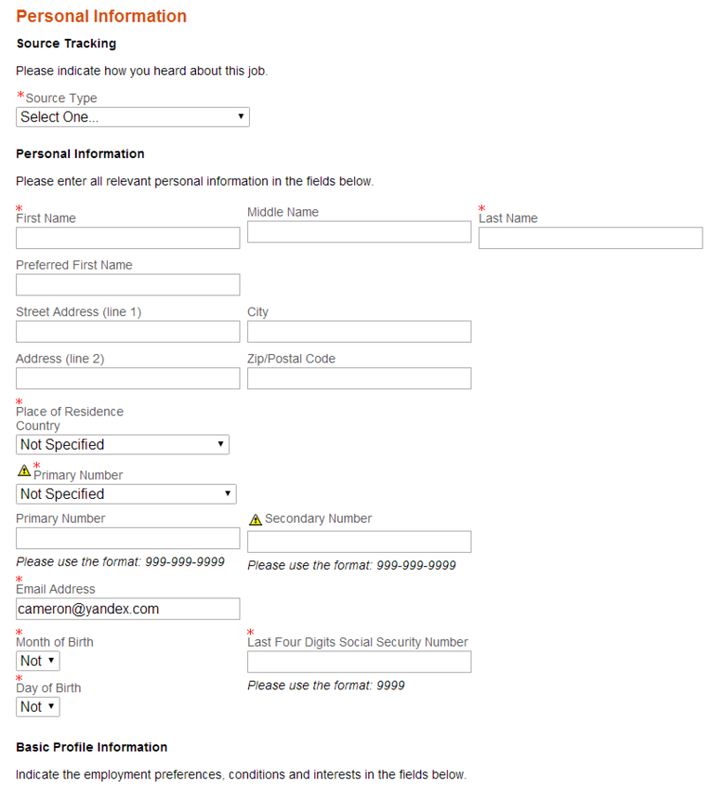 Before you go any farther of your online application, you shall then create a new account at Save-A-Lot if you are a new user, or you can simply enter your user name and password if you are a returning one. Note that you need to agree a privacy announcement after you’ve registered. 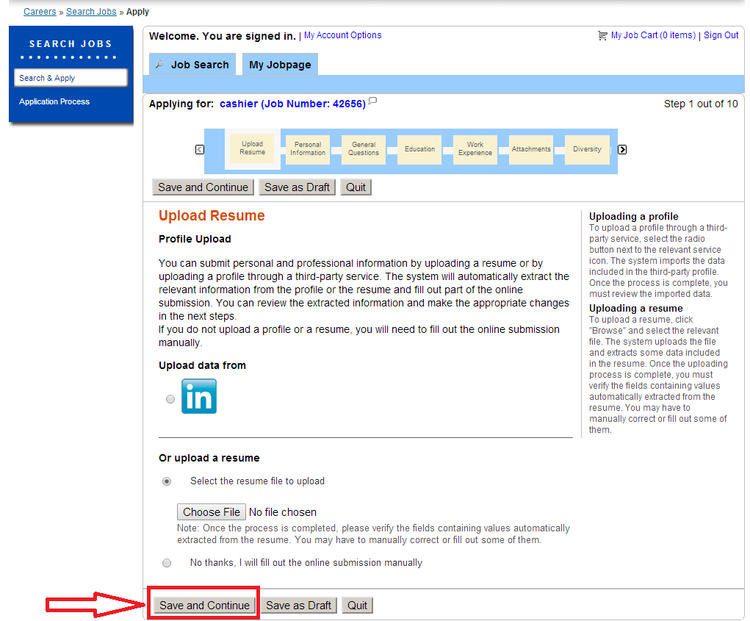 After you’ve registered or logged in successfully, you are then required to upload your resume/CV from your local computer or through a third-party service, LinkedIn for instance. Otherwise, you may also choose to fill out the online submission manually. Click “Save and Continue” to proceed. You shall, in this step, offer your personal information, including your full name, address, email address, city you’re living and so on, along with your basic profile information and availability of work. Click “Save and Continue” again to go on. After you’ve answered certain general questions, you need now to tell Save-A-Lot about you main education background, which may in large part prove your qualifications for your pointed job. 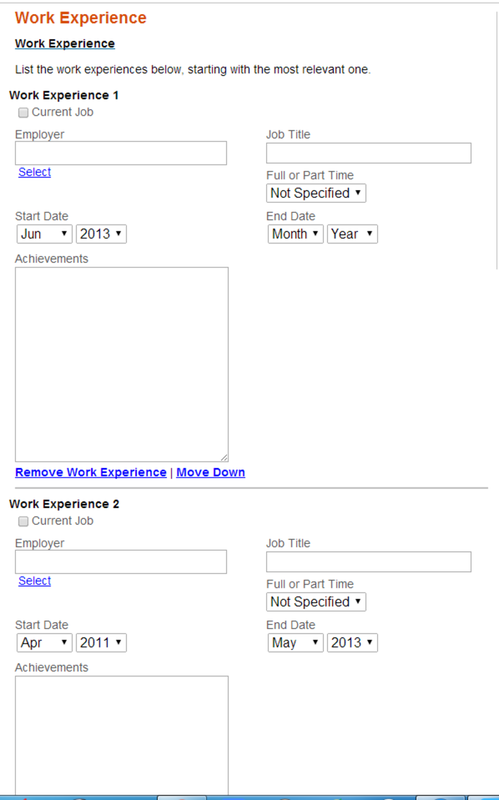 To complete your online application, you’re required then to provide Save-A-Lot with your employment history. Next, you shall offer all other needed information, like your attachments, diversity, screening and eSignature within the application course. You’d better have a clear review of all entered information before you submit the application form. You will soon be contacted if you’re equal to the job. 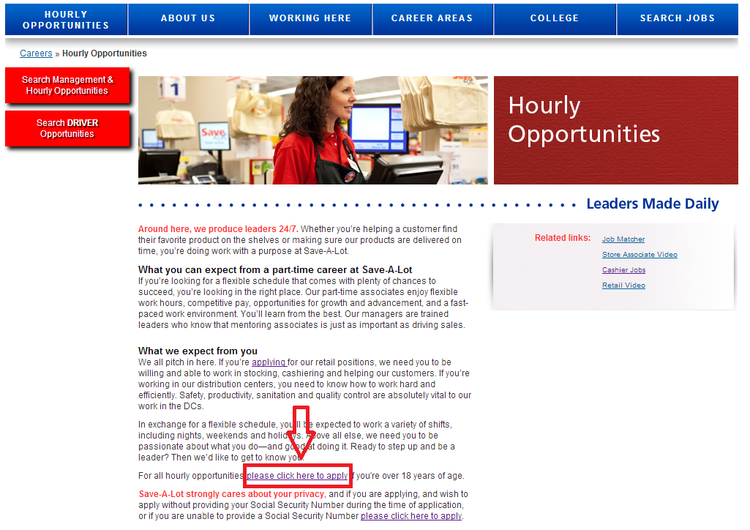 Click save-a-lot.com/careers to apply for Save-A-Lot jobs online.